A strong project management solution is a top priority for many businesses, companies, and project managers. They are constantly looking for business software that comes packed with project management abilities and other essential functionalities needed to run a company successfully. Mavenlink is one such software that goes beyond creating tasks and assigning deadlines. It is known to be a reliable project management software that helps in reducing risks, cutting costs, and streamlining work processes. Is it really worth all the hype around it? Should you consider looking for Mavenlink alternatives? What are the popular Mavenlink alternatives, competitors, and related software? Before we get there, we must highlight and appreciate the good things and great features that Mavenlink offers. Mavenlink is a solid modern collaborative platform which works perfectly for both small and large teams. If yours is a remote team, it brings distributed team members at a centralized place with easy collaboration and total transparency along the way. It goes beyond the usual needs of the business and unifies various business facets into one project management software such as selling, planning, delivery, collaboration, accounts, and optimization. The biggest USP of Mavenlink is the intuitiveness it offers and the ability to forecast resources based on actual data. Other good things about Mavenlink include greater business agility, improved operational execution, and better financial performance. Plus, it offers useful insights to helping you to deliver projects with more finesse and profitability. While we have talked about the advanced features being offered by Mavenlink, let’s talk about its cons. When we researched about Mavelink, many reviewing websites and users highlighted the following things where it can do much better. Now the big-buck question is why you need a Mavenlink alternative. Mavenlink might be a good project management software but stays behind from other alternatives offering tons of innovative features at a cheaper price. That said, many new-age project management tools are designed in such a way that they can fulfill all the needs of a large as well as a small team. If you’re looking for a project management software that has a neat interface, simple design, and advanced features, you need not to look any further than ProofHub. Task management: Create personal tasks or assign tasks to multiple people. You can also create subtasks, add labels, set dates, create recurring tasks, and attach files to ensure a clear distribution of responsibilities. Workflows and Kanban boards: Simplify the way you manage tasks by defining their flow. You get the option to choose from basic (To-do and done) and Kanban workflow as per your requirements. Announcements and @mentions: ProofHub comes with many features enabling you to communicate and collaborate faster. Directly mention fellow teammates to grab their attention. Improved filters: There are filters in every section giving you the ability and control over what you choose to see. Starting from seeing tasks assigned to a particular person to check what’s due, you can easily sort tasks in ProofHub with filters. Time tracking: ProofHub has literally made time tracking simpler with features like timesheets, time estimates, multiple timers, and time reports. Project templates: Instead of starting from square one every time you create a project, use project templates to get going on the same kind of projects. Dependencies: There are Gantt charts in ProofHub that allows you to set dependencies to help you work across tasks and projects. Dependencies are helpful in indicating how a change/delay is going to impact the overall progress of the project making teams more accountable. Integrations: ProofHub integrates with popular file management apps like Google Drive, OneDrive, Box, and DropBox helping you access data from these apps with quick shareability and collaboration. Customizability: ProofHub gives you the power to establish your brand value by personalizing your account with its white labeling feature. Change logo, domain preference, theme color and give it a feel of your own. Mobile app: ProofHub is also available as a mobile app for both Android and iOS users. Manage time, teams, and work smartly at one place using one-time tracking software. Try ProofHub. All in all, there are some kickass features, a neat interface, and tight security that comes along with ProofHub giving it a big edge over other Mavenlink alternatives in the market. ProofHub comes with two exclusive pricing plans: Essential Plan and Ultimate Control Plan. The Essential plan offers 40 projects, unlimited users, 15 GB storage, and basic project management features. The costing of this plan is $45/month (billed annually). In the Ultimate Control Plan, you get unlimited projects, unlimited users, 100 GB storage and advanced features such as custom roles, white labeling, custom workflows, network control, priority support, data support, project/resource reports and much more for just $89/month (billed annually). Not just this, you also get heavy discounts on subscriptions for non-profits and save more. You can know more about it here. It is an open source collaborative project management software offering a wide range of advanced project management features. 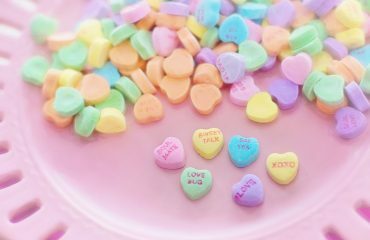 It can help you with project planning and scheduling, task management and team collaboration, bug tracking, time tracking, cost reporting, budgeting, and what not. In OpenProject, one can easily define the project deadlines and specify the work to be done. Plus, you can plan, visualize, and communicate your product roadmap and even share them with stakeholders. There are tight security features and highest standard support from OpenProject making you even more productive. Bitrix24 is a collaboration software and one of the best CRM tools in the market. There are over 30 tools in Bitrix24 that can help your teams work better, easier, and faster helping your business grow at a fast speed. Its main features include project management, performance management, scheduling, workflow management, team management, lead generation, CRM analytics, customer support, sales dashboard, and reports etc. Unlike other alternatives to Mavenlink, it is completely customizable. It also has a powerful document management system where you can share files, videos, documents for better collaboration. All in all, Bitrix24 is a one-stopes solution when it comes to successfully managing a business. Celoxis is a popular Mavenlink alternative and an amazing project management tool designed for teams to interact and collaborate online. The cost-effective solution has a lot of features and customizations. From project requests to project profits, it takes care of everything effortlessly. You get to monitor project execution visually in Celoxis so that you never get to miss anything important. Its USP is project financials. Celoxis shows the cost and revenue estimates of projects in a detailed manner. You can track budgets, costs, profits in real-time along with sending accurate invoices to clients without any delay. There are dashboards, insightful reports, custom workflows making it a powerful tool in its own right. Clarizen is much more than a traditional project management software. It lets you manage work, automate processes, and collaborate from a centralized place. The Mavenlink alternative is designed in such a way that helps you simplify work and accomplish goals in an intuitive platform. 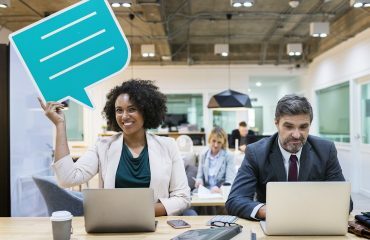 Its ability to bring together work management, reporting, and visibility at a unified place gives it an edge over other alternatives to Mavenlink. There are real-time data and automated workflows helping you streamline your work process and letting you do your work just the way you would like to do. If you’re looking for a Mavenlink alternative which is simple yet effective to manage your team’s progress, SmartTask is the right tool for you. It keeps all the information your team would need to be organized at a single place, accessible to all team members. It is built for faster collaboration giving each team member a clear overview of their ongoing tasks and overall progress. The best part is that you can access it from anywhere via its mobile app even when you’re on the run. 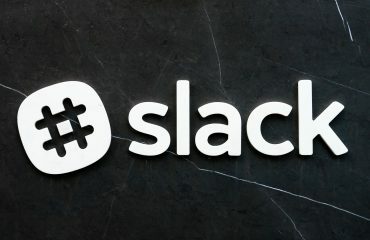 Whether it is about allocating tasks, checking notifications, comments, you can do it all with the mobile app. Some of the famous brands using SmartTask are Topsun, Reliance, Venture Studio. UREnergy among others. Wrike is a cloud-based project management and collaboration that scales across teams of any size and nature. There are customizable dashboards in Wrike so that you only see what you want to see. It gives more visibility to its users with real-time reports and status for your teams’ projects. Wrike is known to give you the flexibility you need to manage multiple projects and teams in one place. With its real-time reporting and analytics, you get the accurate information you need to make necessary adjustments in your project strategy. Other robust features include Gantt charts, cross-team collaboration, real-time status updates, visual dashboards and more. 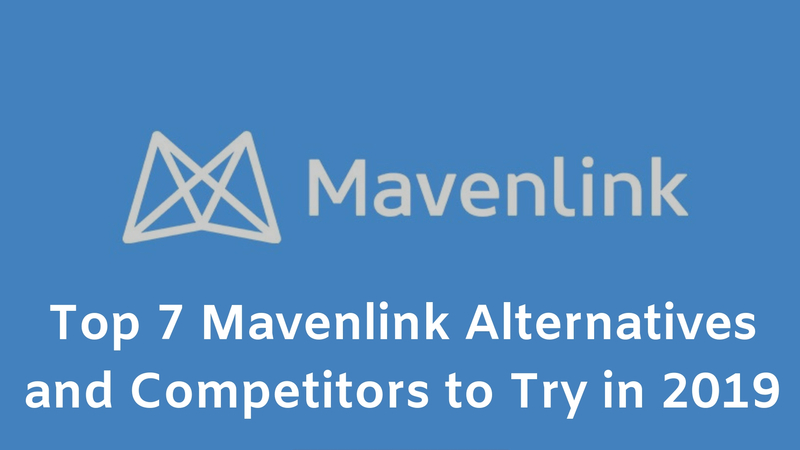 It could be confusing to select the right Mavenlink alternative among so many options. The ultimate decision would obviously depend on your business requirements and needs. 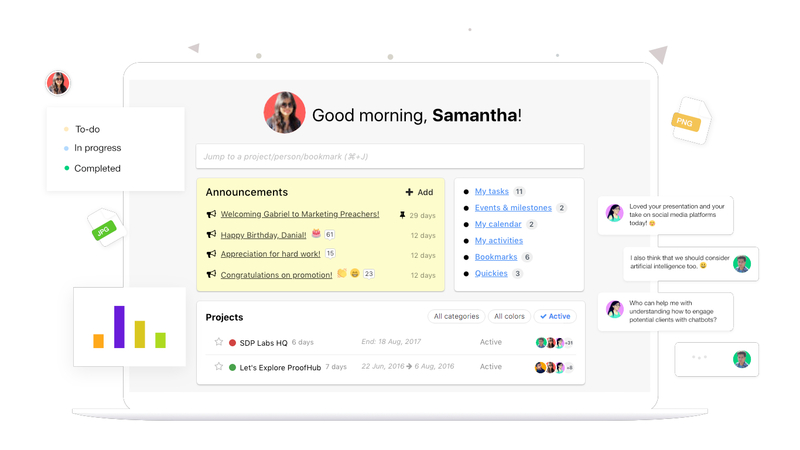 We suggest you to definitely try ProofHub as it brings all your projects, teams, and communications at one place. Start your free trial here and achieve better work satisfaction.